Our ladies have announced that they are going back on tour! Just after finishing their 2nd Japan Tour, it has been announced that the ladies will be starting a world tour on June 8th and 9th in Seoul. So as many of you probably didn’t know, TaeTiSeo is ending their run as MCs on Music Core due to other activities. April 13 was their last show, and to show their gratitude towards the loyal watchers of the show, they had a special farewell stage. They performed their song “Goodbye, Hello.” Quite fitting don’t you think? 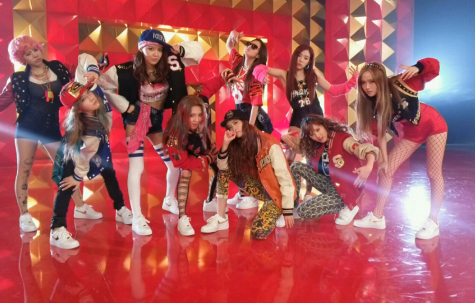 It has been confirmed that SNSD will again perform at this year’s Dream Concert. It will be held on May 11th at the Seoul World Cup Arena. Others who are performing include KARA, 4minute, T-ara, Girl’s Day, SECRET, SISTAR, SHINee, B2ST INFINITE, 2AM, U-KISS, ZE:A, EXO, B1A4, Rainbow, Huh Gak, SPEED, BTOB, EvoL and VIXX. I wonder which songs they will perform this time? What are your guesses? On April 7th, the girls performed at the LG Cinema 3D Festival. Check out the conversation they had with the host (above) plus their performance and lots of pictures under the cut! Following their 6th Japanese single titled ‘Flower Power’ and their 2nd Japanese Album titled ‘Girls&Peace’, SNSD is now set to release their 7th Japanese Single. To be released on May 29, the single ‘LOVE&GIRLS‘ will contain two tracks, the first will also be titled ‘Love&Girls’ while the second track would be ‘Lingua Franca’. The single will have two different versions; the Limited Edition which includes a DVD containing the music video for ‘Beep Beep’; and the Regular Edition with just the two tracks. Today, the girls aired a preview of their MV “Beep Beep” from their Japanese single “Flower Power.” Pretty catchy song I must say! And all the pink in the video has Tiffany written ALL over it! Enjoy!